In the small village of Kilbane, County Cork, Ireland, Natalie's Bistro has always been a warm and welcoming spot to visit with neighbors, enjoy some brown bread and tea, and get the local gossip. Nowadays twenty-two-year-old Siobhán O'Sullivan runs the family bistro named for her mother, along with her five siblings, after the death of their parents in a car crash almost a year ago. It's been a rough year for the O'Sullivans, but it's about to get rougher. One morning, as they're opening the bistro, they discover a man seated at a table, dressed in a suit as if for his own funeral, a pair of hot pink barber scissors protruding from his chest. 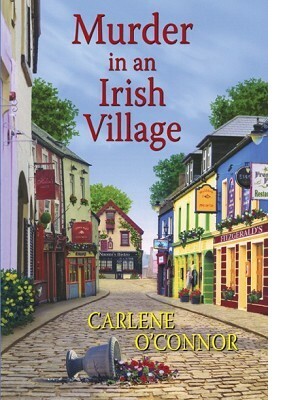 With the local garda suspecting the O'Sullivans, and their business in danger of being shunned--murder tends to spoil the appetite--it's up to feisty redheaded Siobhán to solve the crime and save her beloved brood.